The Gulf region of the United States is subjected to harsh conditions, such as scorching heat and high humidity. 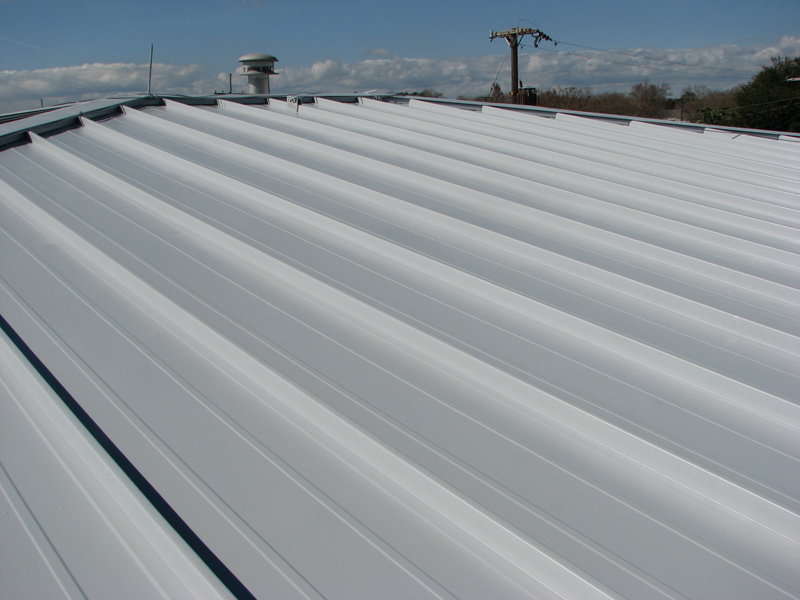 As a result, the materials on buildings in this region are subjected to ultraviolet (UV) degradation and corrosion. 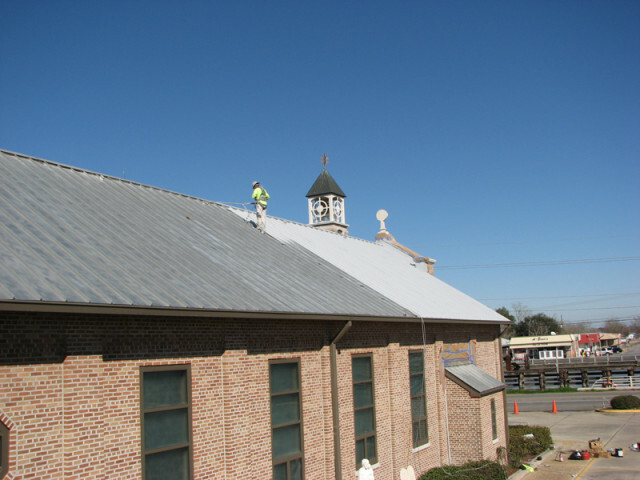 After 30 plus years of weathering, Saint Joseph’s Church in Galliano, Louisiana contacted All-Tech Coatings to restore the standing seam metal roof to its former glory. To ensure a proper, long-lasting restoration, All-Tech Coatings chose PPG’s Coraflon ADS coating with Lumiflon FEVE fluoropolymer resins. Weathering and degradation of the previous baked-on Kynar finish of the church’s metal roof was so severe, the bare galvanizing of the panels was visible. There were also areas displaying red rust corrosion and discoloration throughout. 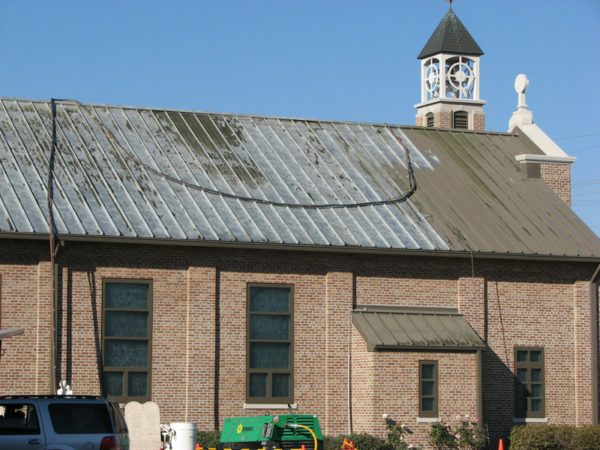 All-Tech contractors began by abrasive blast cleaning the roof with to SSPC-SP6 standards, followed by pressure washing. They then applied two coats of epoxy-based primer at 2.0-2.5 mil dry-film thickness (DFT). 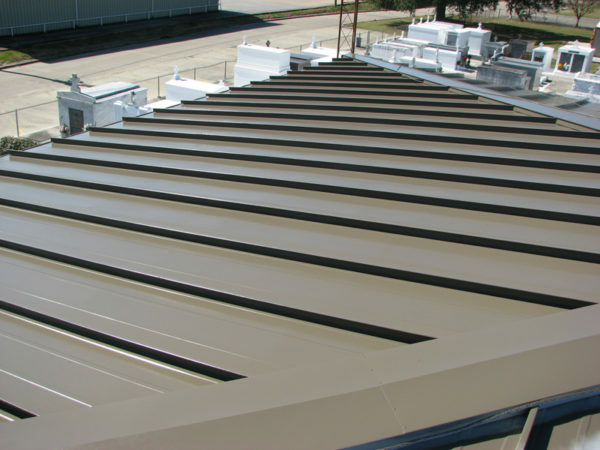 Following the primer, the roof was finished with PPG Coraflon ADS in Roman Bronze at 1.5-2.0 mil DFT, resulting in a beautiful finish to last over 20 years. LUMIFLON®, a product of the Asahi Glass Company, is a solvent-soluble fluoropolymer that offers distinct advantages to the architectural market. LUMIFLON® provides architects with the option of using brighter colors and higher gloss, allowing gloss values as high as 90; offers the flexibility to be heat cured or cured at ambient temperature, giving fabricators a choice between shop application or application in the field; and can be used successfully on a number of materials, including steel, aluminum, fiberglass, concrete and polycarbonate for 30 years without fading. 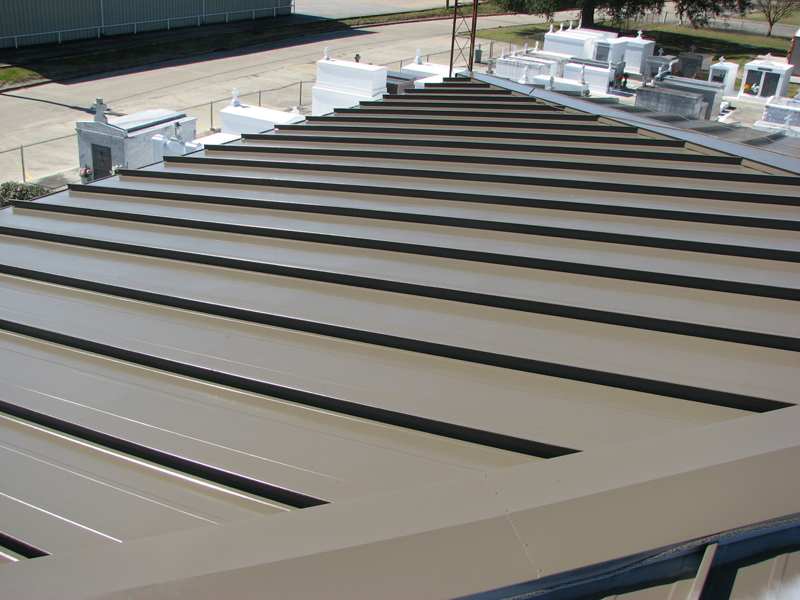 All-Tech Coatings is a division at All-Tech Decorating Company; Romeoville, IL, which specializes in the application of high performance coatings on metal substrates, and mostly architectural standing seam metal roofing and curtain wall systems that have a baked on fluoropolymer finish. PPG Industries; Pittsburgh, PA, is a leading coatings and specialty products and services company, serving customers in construction, consumer products, industrial and transportation markets and aftermarkets. PPG has manufacturing facilities and equity affiliates in more than 60 countries around the globe. Images and information courtesy of © All-Tech Coatings.